Nail A College Drop Out: More Icing And Some ElectroPop! Also I've kinda been stalking Sally Beauty Supply so I could get my hands on Aquadelic from China Glaze's Electropop collection. Turns out they don't have it yet but Beauty Plus Salon does!!! I believe Ice Cube said it best, "Today was a good day." 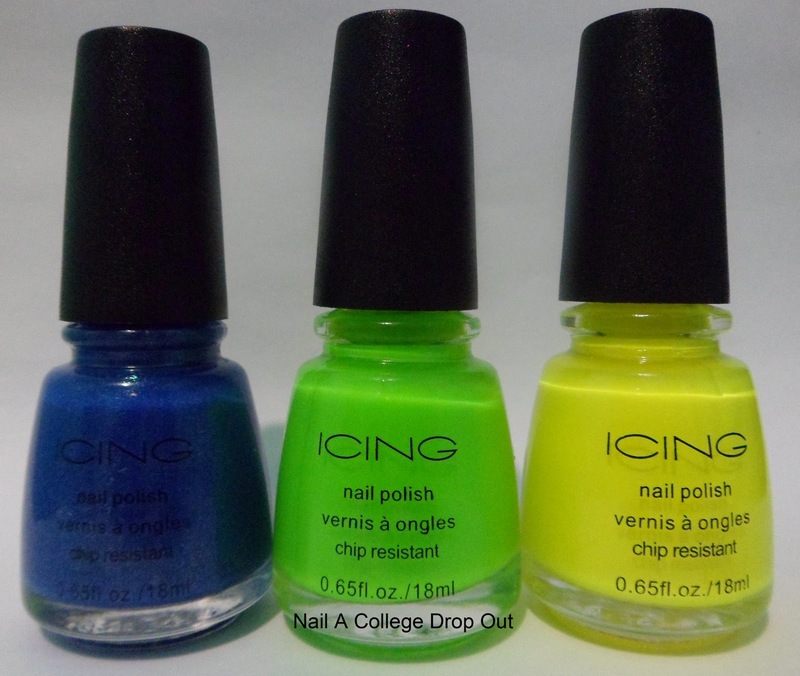 Awesome polishes! Today was a good day! oooh, I really want to see Party Confetti! Looks gorgeous!